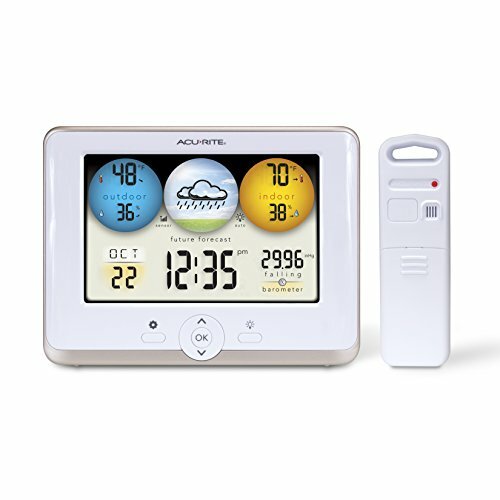 When you just starting your RV journey, it hard to know what RV gadgets you should buy. We know we had the issue of choosing which would we need now versus what we can wait to get later. We have compiled a list of the top RV accessories that we think you should purchase early in your RV journey. These don’t include the essentials you need to hook-up your RV. 2016 Improved Version. We have upgraded our brass regulator after examining other reviews; Our new lead-free regulator contains a more durable pressure gauge with oil to prevent friction of internal components, particularly low lead content, well under the lead free requirement, and comes with a 1 Year WARRANTY. Lead Free. This regulator was modified to contain lowest amount of lead of any regulator on the market. Each batch of regulators is tested to contain less than .13% lead, well under the NSF lead-free requirements of .25%. Email us for a copy of our testing certification. Regulator gauge contains oil to reduce friction of internal components and greatly increases the life of the product. Compatible with all U.S. water sources, including 3/4" garden hose threads and NH threads. Contact us for any compatibility questions by clicking on our store name, "Cartlee", and clicking on the ask a question button. Adjustable up to 160 PSI. Arrives with easy installation guide. Email us for an additional copy of the guide or quality control test. This tiny piece of metal can save you from a world of pain. This valve brings down the pressure to a safe level before the water reaches any plumbing fixtures inside your RV. 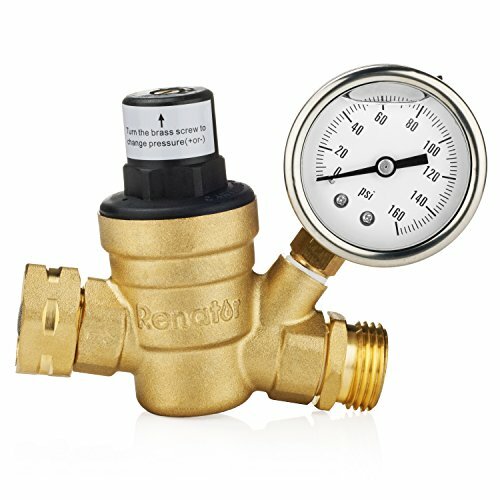 We recently upgraded from the basic water pressure regulator to the variable one with a gauge above and it is a world of difference. I love being able to see if any water pressure issues are in the RV (clogged line) or just low pressure coming from the campground. 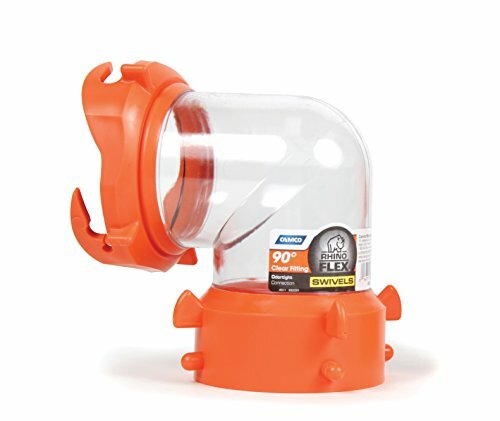 These aren’t cheap but neither is replacing the electrical items in your RV. 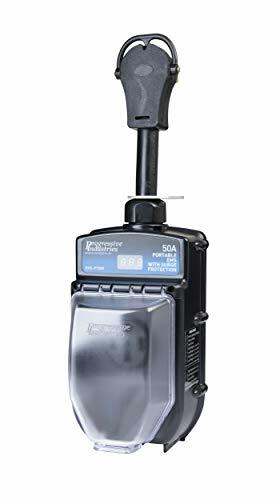 This bad boy lets us know if there is a power surge or low voltage coming from the electrical box. You may think this is something to pass on initially but don’t. In the first three months of RVing full time, we’ve already had three power outages in campsites that could have caused damage to our rig. We know it is expensive but we would never plug-in without it. If there was a massive surge (think lightning) the power surge protector would sacrifice itself for our RV. The great thing about the one listed above is it has a lifetime warranty and is made in the USA. This is another must buy. 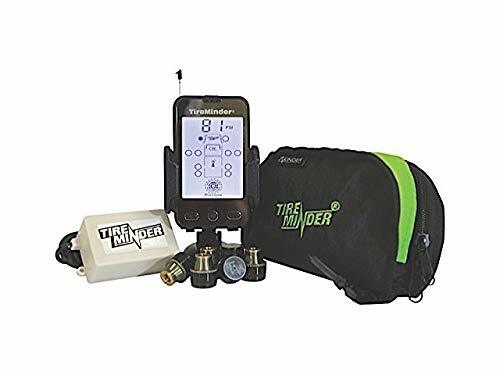 The tire pressure monitoring system lets us know if any of the tires on the truck or fifth wheel are low, leaking, or overheating. If you know about these issues beforehand you can prevent a serious accident. Knowledge is power. Most accidents can be prevented with a little bit of foresight. Would you prefer to be traveling down the road unaware before you had a blowout or have at least a little bit of foresight so you can slow down or even pull over before something happened? 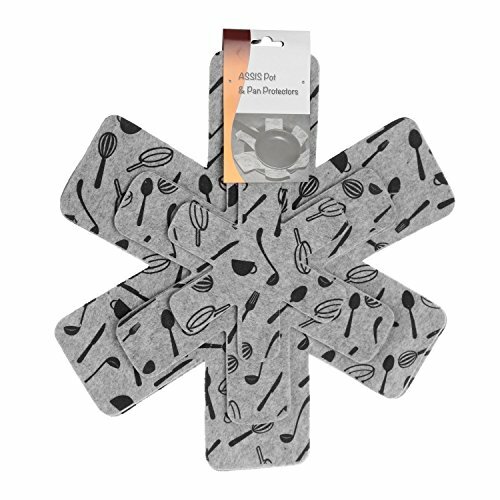 These pan liners are the lazy man's solution to organizing your kitchen. Not the most fun or unique RV accessory. They are cheap. They are sturdy. I literally use them to line everything in our cupboards. No rubbing or scratching on any of my dishes! Let’s talk dirty for second… This clear elbow lets us see what is coming out of our tanks. When you’re cleaning your black tank, you really should be interested in seeing when your water runs clear. Not the most glamorous rv gadget, but very practical for keeping things clean. This is key for us when we camp in more rural areas. If you still work this is 100% a must have. We would not have been able to stay in some of the places we have without our cell signal booster. It makes cell service magically appear. Powered with a an AC adapter for your convenience with an optional battery backup. We love knowing the exact temperature of our rig inside and out. The forecast helps with planning the day's activities or on those colder days, a reminder to fill up on propane! The best part though is the humidity gauge. Humidity in an RV can be a real nuisance so it's good to know what it is at all times. We didn't have one for the first 2 months but once we got one as a gift, we knew we should have had it the whole time. So those are our 7 RV gadgets and gizmos we won't travel without. We highly recommend if you consider at least the first three on this list. They will protect you and your RV from any headaches in the future. Did we miss anything? Do you have a gadget that you can’t live without? Let us know down below! 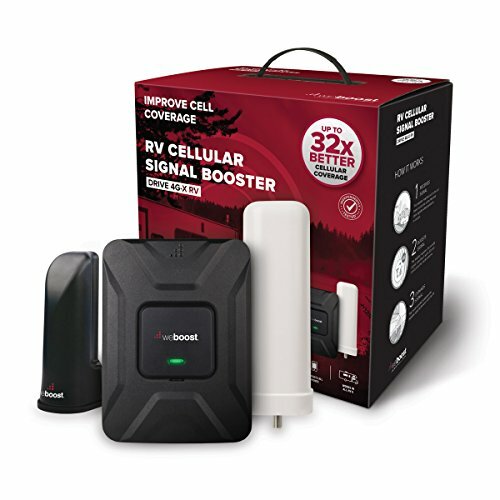 When you first purchase your RV you are immediately overwhelmed with the amount of RV gadgets and gizmos available. This list will help narrow it down to only the must-have accessories in 2018. Most of these will save your life or at least prevent a headache down the road.